Last week I got the inclanation to make pumpkin fudge. Four batches and several hours later I realized I am INCAPABLE of it. The first batch did not set. The second batch was gooey. The third batch was grainy. And the fourth batch I don’t even want to talk about. Annoyed after these four failed attempts, I began backtracking my steps, trying to figure out where the hell I went wrong…. First of all, I did not use a candy thermometer. Being married to a “bull in a china shop”, it is very difficult to keep one of these fragile instuments around. I think I’ve gone through 3 candy thermometers in almost 5 years of marriage and I eventually just gave up on them. Second, I am inpatient. Most likely I did not let the fudge cook long enough or cool long enough. Third, I am the worst at following recipes- meaning I never, ever do it. I began googling techniques for making fudge and almost everything I read started with the phrase “It is very important to follow the recipe EXACTLY.” Finally, I came to the conclusion that for whatever reason I simply can not make pumpkin fudge. On a positive note, I did end up with a pretty good pumpkin “dip” and some tasty pumpkin “ganache.” But all in all, I am left fudgeless and frustrated. Advice? For the Ganache- In a saucepan combine sugar, brown sugar, syrup, milk, and pumpkin. Bring to a boil over medium-high heat, stirring constantly. Continue boiling for about 5 more minutes. Then, reduce heat and add butter, vanilla, and spices. Once cool, pour into bowl and chill in fridge. 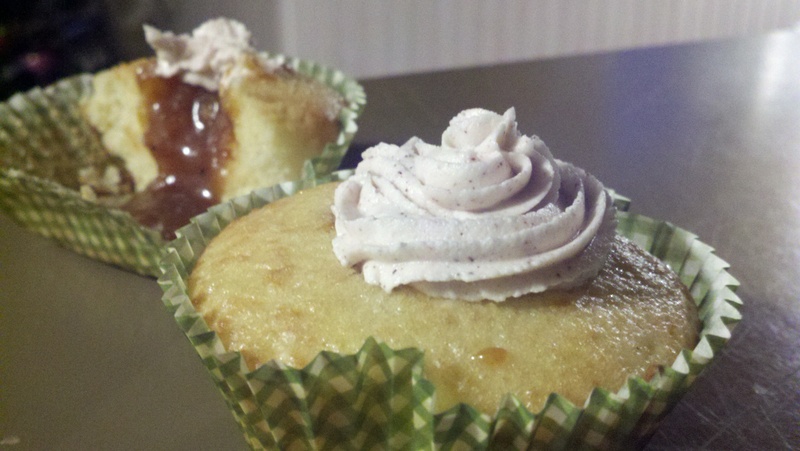 For the frosting- Using a stand mixer or electric mixers, beat shortening, vanilla extract, and water. Gradually add confectioners sugar and cinnamon and continue mixing until well combined. Prepare vanilla cake mix according to package directions, baking 24 cupcakes. Let cupcakes cool. Then, using a spoon, scoop out centers of cupcakes to create a small pocket in each. Spoon ganache into pockets. Top with frosting.